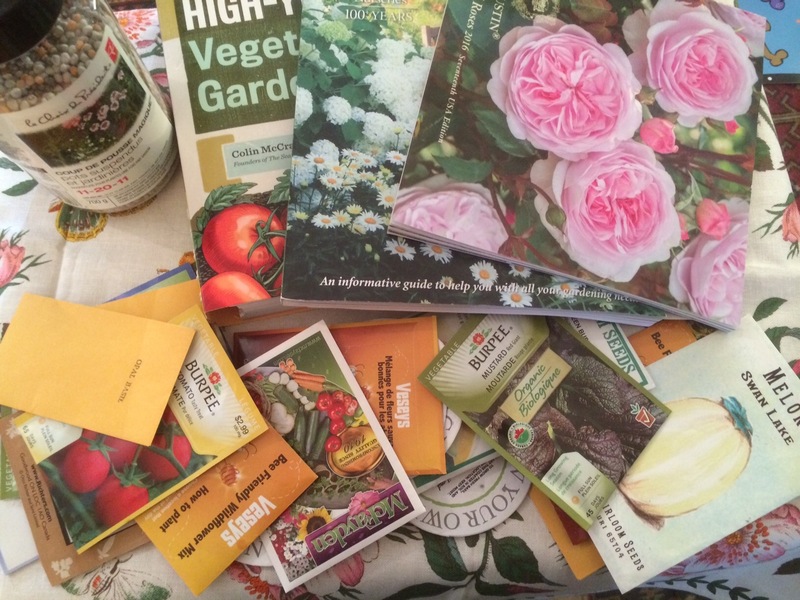 For the next month or so, nearly everyone’s going to have gardening on the brain. We’ll hear a lot of “Why is my [whatsit] plant doing [whatever]?” “How can I …?” And tons of advice about burying banana peels, spraying milk on leaves and mixing up herbal concoctions to resist pests. Save your time and money, folks. Most of the home remedies you hear for garden troubles are folksy hold-overs from the days when people had nothing else to use and no one else to ask. Unfortunately, with all the garden info clutter floating around the Web in our modern, 21st century world, it’s easier than ever to preach the benefits of Epsom salts and white vinegar in the garden. But it’s a long stretch from belief to fact. Let’s look at a few of the most popular garden myths. “Don’t buy genetically-modified seeds or plants for your home.” That’s an easy one – unless your home includes 40 hectares of field to plant in corn, you won’t have to worry about GMOs in your garden. The seeds and plants are terrifically expensive to create and have to be marketed on a huge scale to offset the cost. If you run into new varieties of veggies or flowers at the garden centre, they’ve almost certainly been developed the old-fashioned way, by cross-pollination. Which plants and people have used for hundreds of years before fancy lab techniques were developed. “Composting is complicated to do, and compost piles are smelly and attract animals.” Yeah, I used to think that, too. Instructions said, “Add one part green to two parts brown and be sure to turn it every 10 days.” It sounded as fiddly as making a soufflé. But then an impatient friend told me to ignore all that and just pitch my leaves, grass clippings, veggie trimmings, etc. in my bin and let everything decay down. And it worked. I do make an effort to cut the contents up into pieces before they go in, and I shred my million oak leaves before I pile them up. But I find a little water and regular fluffing is all I need to make usable compost. “Peat moss is a ‘must’ to add organic matter to your garden soil and essential to any potting mix.” No. No way. Do not waste your time with that messy stuff. It’s nearly impossible to get it thoroughly wet, and if it dries out, you have to go through the trouble of wetting it all over again. Plus, the dang peat breaks down into useless dust after one or two seasons. Harvesting peat moss for sale is also environmentally questionable. Much better choices for dry Beach soil include coir (made from coconut husk), compost and shredded leaves. If you’re stuck with clay, get wood chips from arborists or even commercial wood chips and spread a thick layer on your soil. “Some mulches are bad for your soil.” Popular wisdom likes to say pine needles will make your soil acid, oak leaves are bad because of the tannin in them and other scary stories. Real-world tests, however, have shown that it would take hundreds of years of these materials to make any changes in the underlying soil. Only potential drawbacks are with cocoa bean mulch, which can make dogs sick if they eat it and can get moldy sometimes, and coffee grounds mulch, which may tighten into a waterproof layer. “Put a copper barrier (or crushed eggshells) around plants to keep slugs away.” This sounds so plausible – a dash of physics plus some common sense. Supposedly, the copper zaps the soggy slug with an electrical charge. The sharp edges of crushed eggs slash its squishy body to death. But slugs have never read those horror stories, and they go merrily on their way over copper, crushed eggs, knife blades and just about anything else you put in their way. The disgusting things are protected by the slippery slime that coats them all over. Sharp eyes and manual warfare are the only weapons I’ve found useful. Look under large leaves, especially at dusk or later. Grab the offender (use tongs or a rag if you’re squeamish) and mash it between two bricks. All the myths here have been busted by verifiable scientific tests, and in some cases, by my own experience. Of course, it’s a big world out there, and you may have especially copper-sensitive slugs or a compost pile that demands a balanced diet. For most of us, though, we can rip up these old sayings and toss them in the composter. Two lucky readers have won copies of No Guff Vegetable Gardening, by Donna Balzer and Steven Biggs. Congratulations Shelly Ste Marie and Alexandra Rodney, and thanks to everyone who entered. For compost, you can absolutely just dump stuff in it. However, I always recommend a 2 or 3: 1 ratio of “browns” to “greens” as it will help maintain the proper moisture levels in your bin, keep the decomposers happy, and minimize smells. Too many greens makes it smelly; too many browns slows it down. If you’re mostly composting garden waste, you likely have a cool slow compost pile – nothing wrong with that, but some people are eager for the finished free fertilizer at the end! (Source: I’m a composting educator at an ENGO).